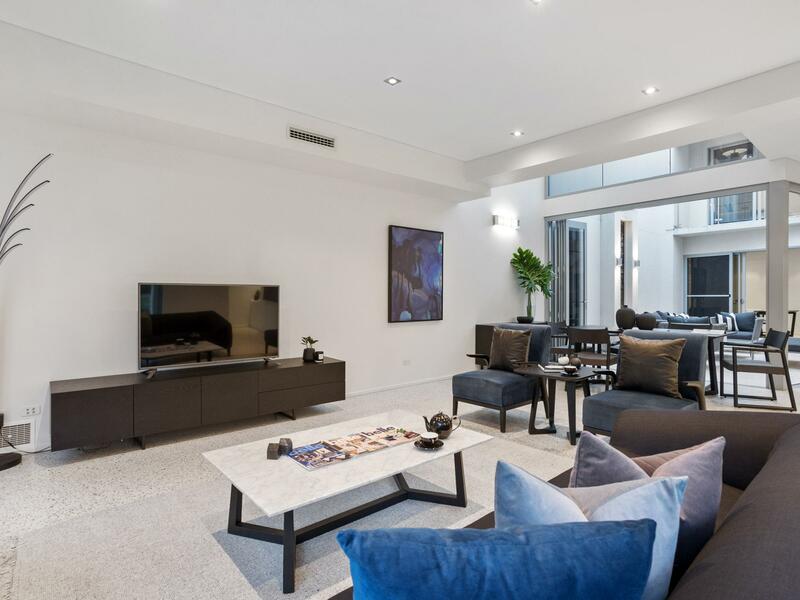 All buyers researching around the mid $1millions and above are encouraged to view. 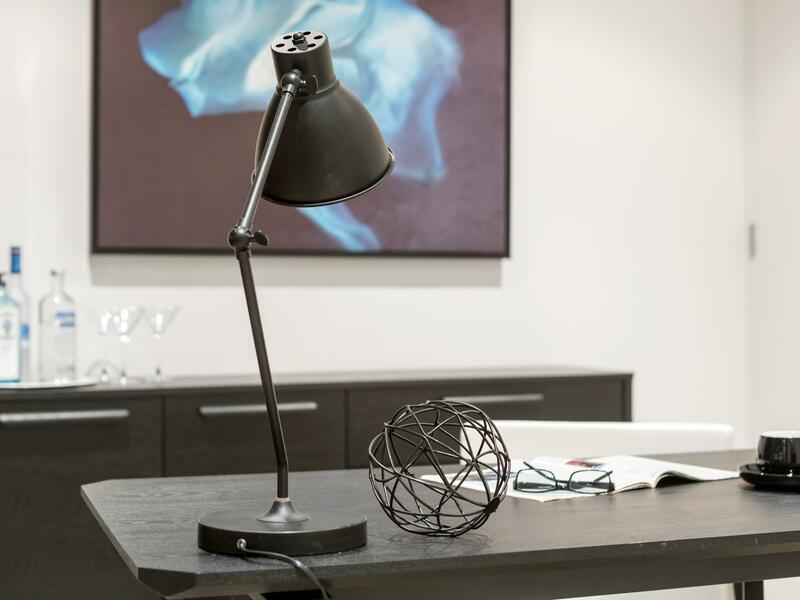 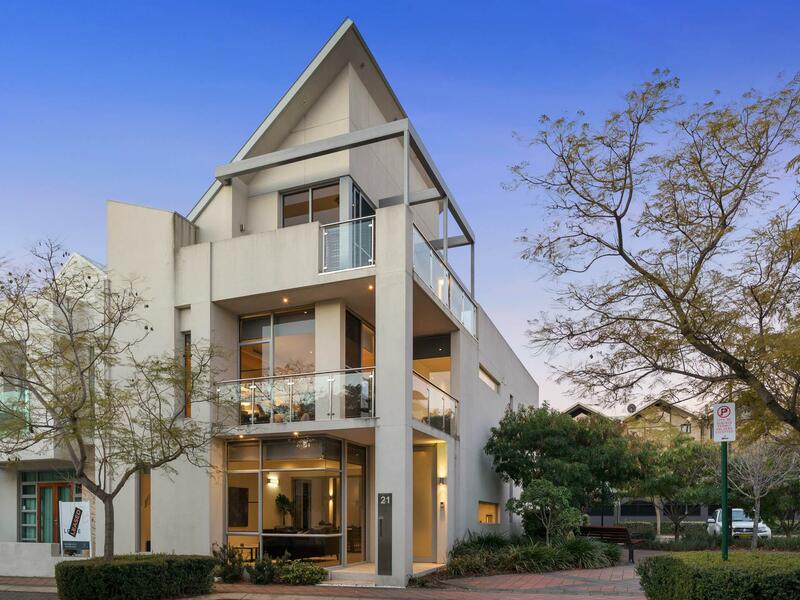 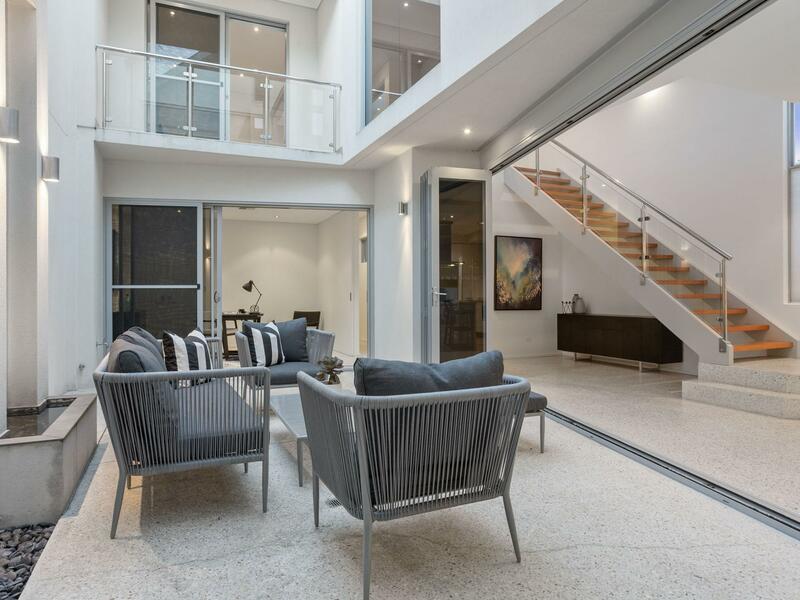 Bold, contemporary, sophisticated, and carefully constructed over three levels, this magnificent home is a spectacular fusion of industrial flair and raw modernity; whilst its inherent simplicity of style accentuates the elegance and true luxury of this stunning Subiaco residence. 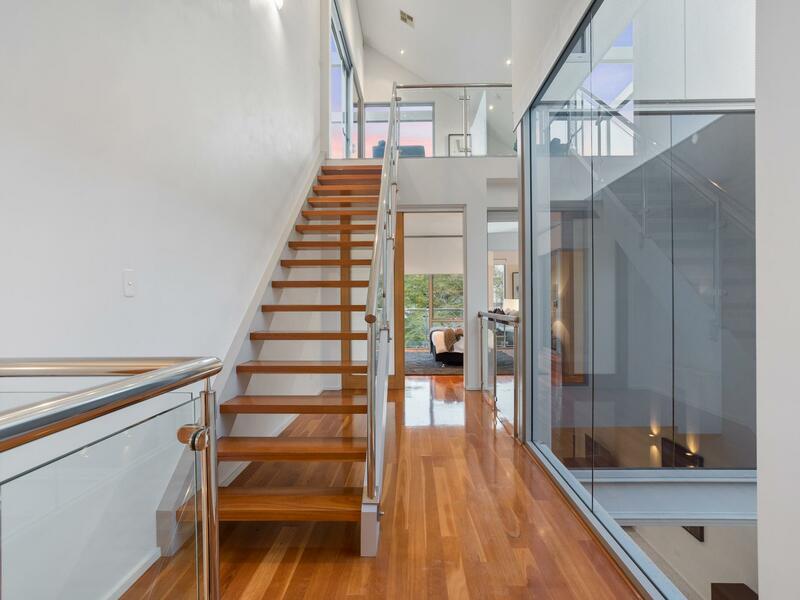 Strong clean lines define bold sophisticated exteriors and strike the perfect balance against luxurious refined interiors highlighting glass, timber and stone. 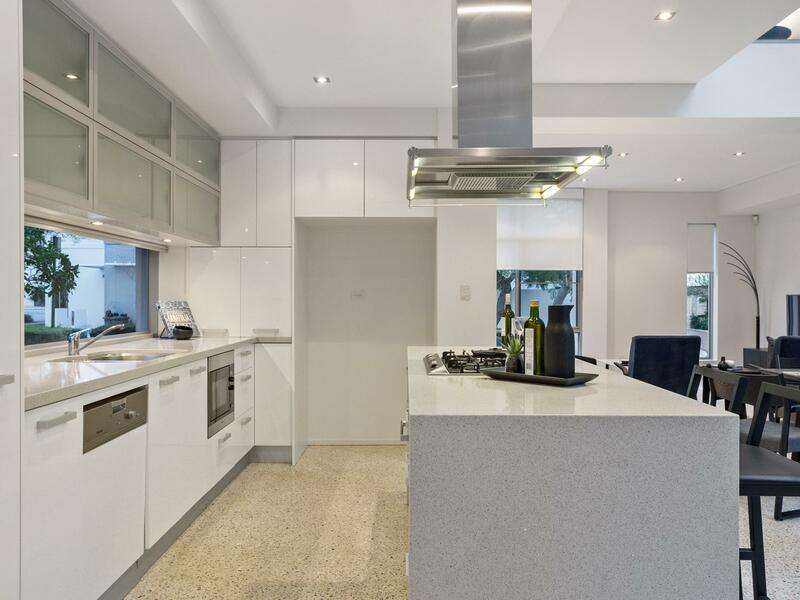 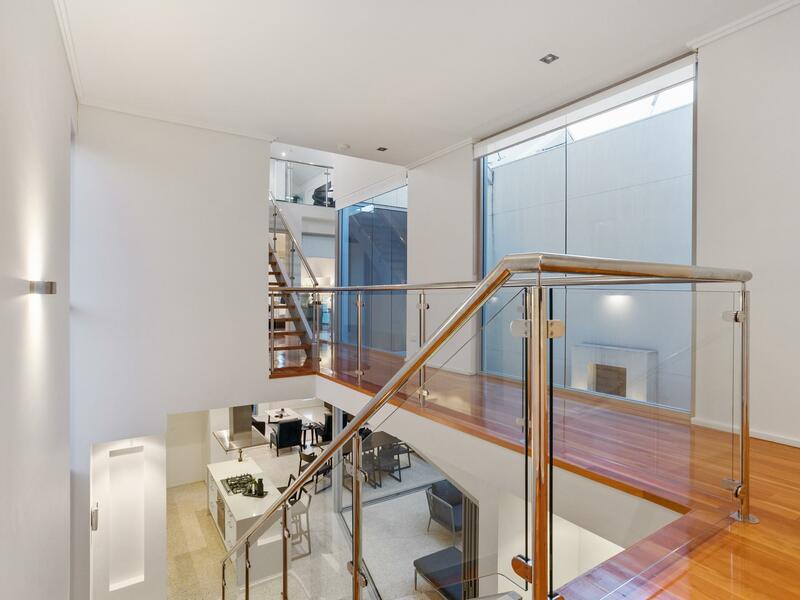 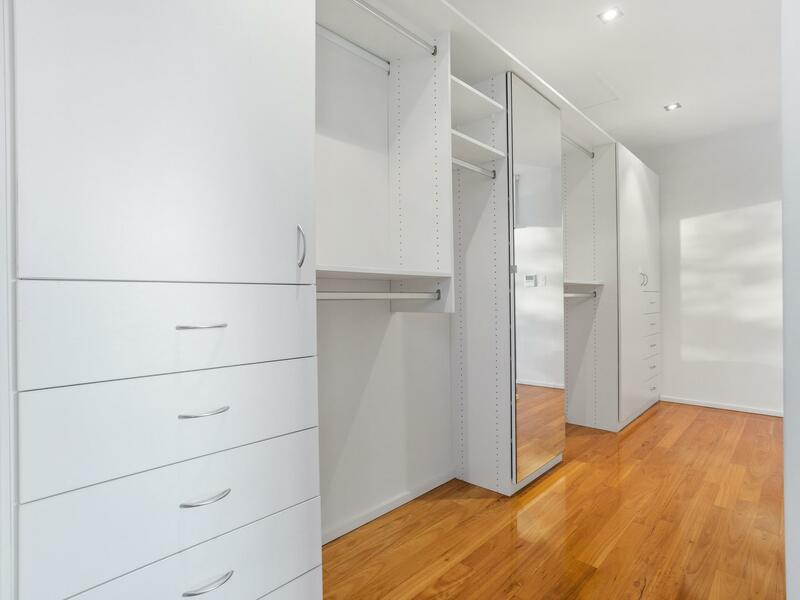 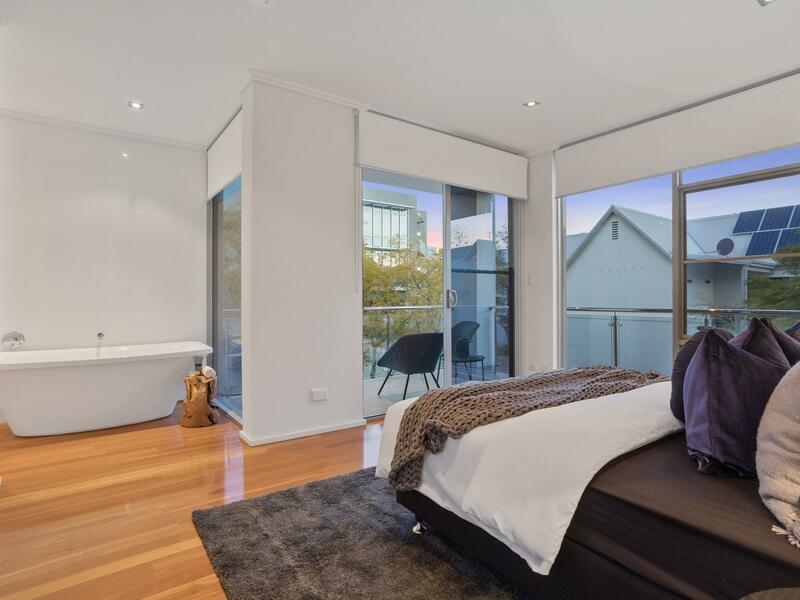 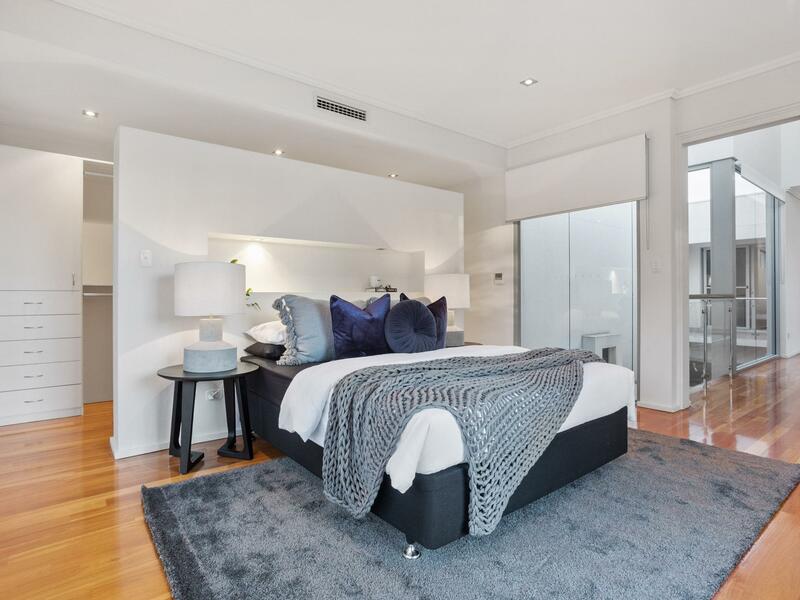 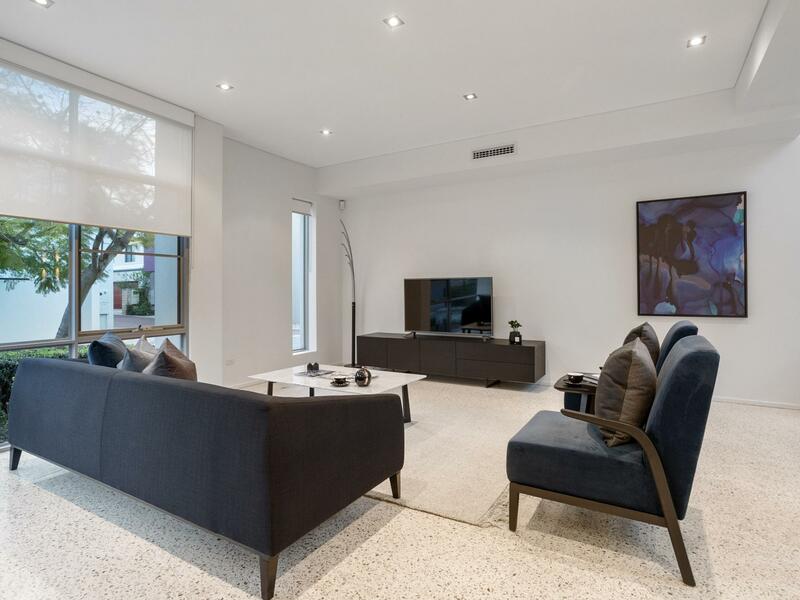 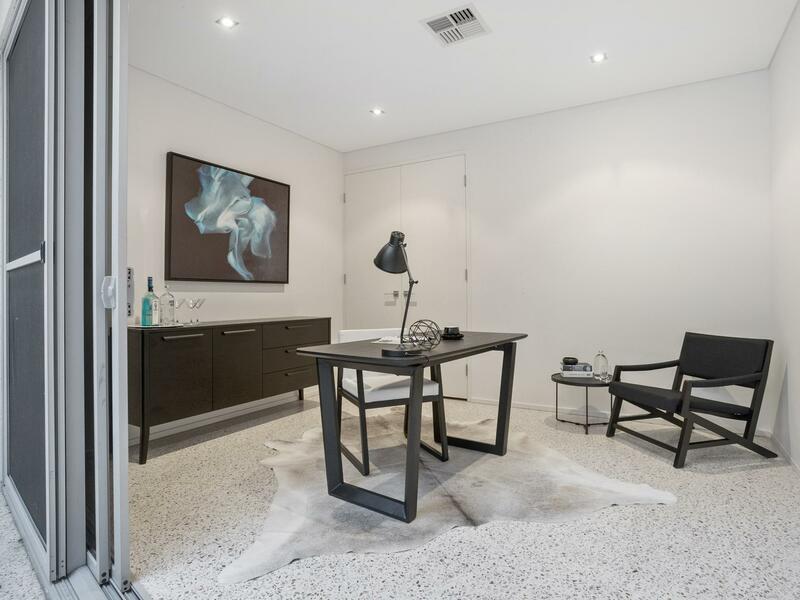 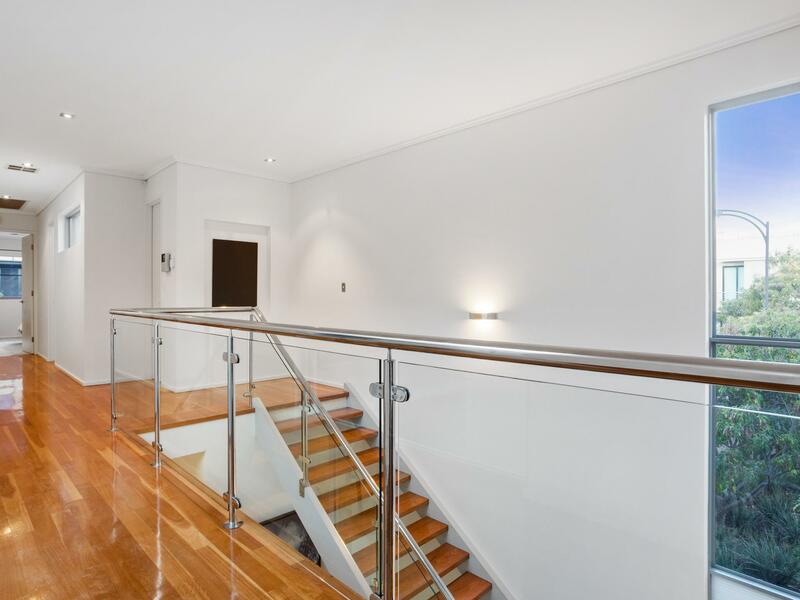 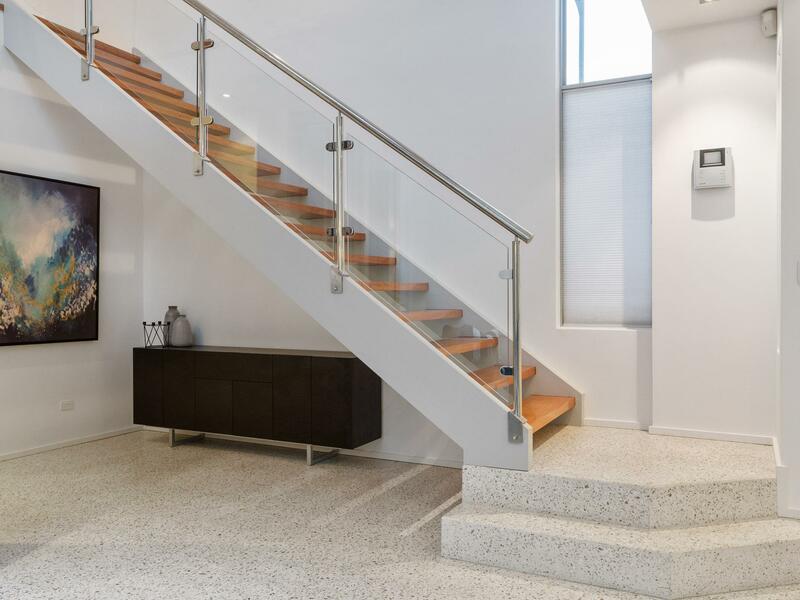 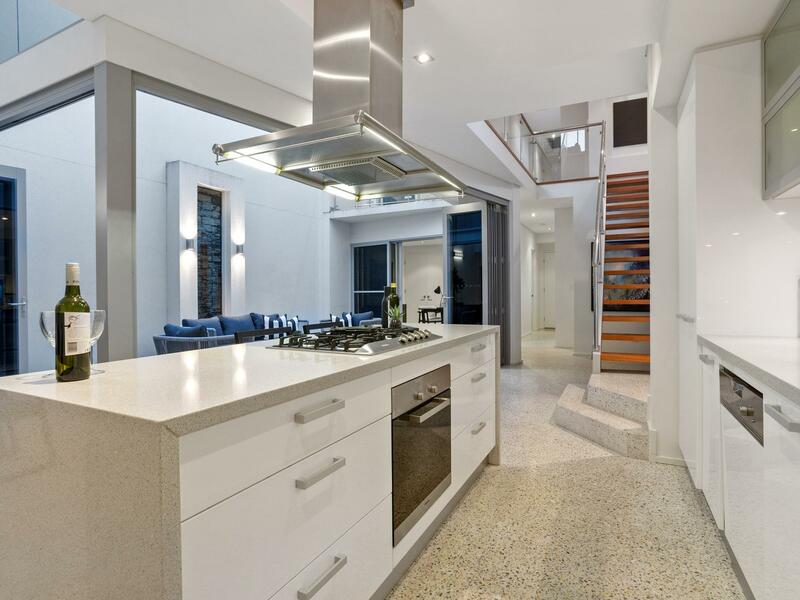 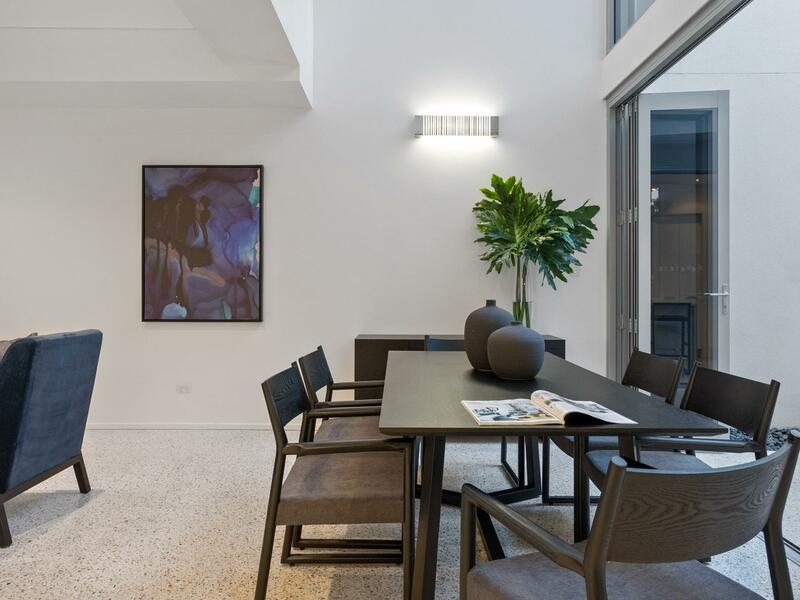 A chic white palette emphasizes stunning polished concrete at ground level and warm Tasmanian Oak on upper floors. 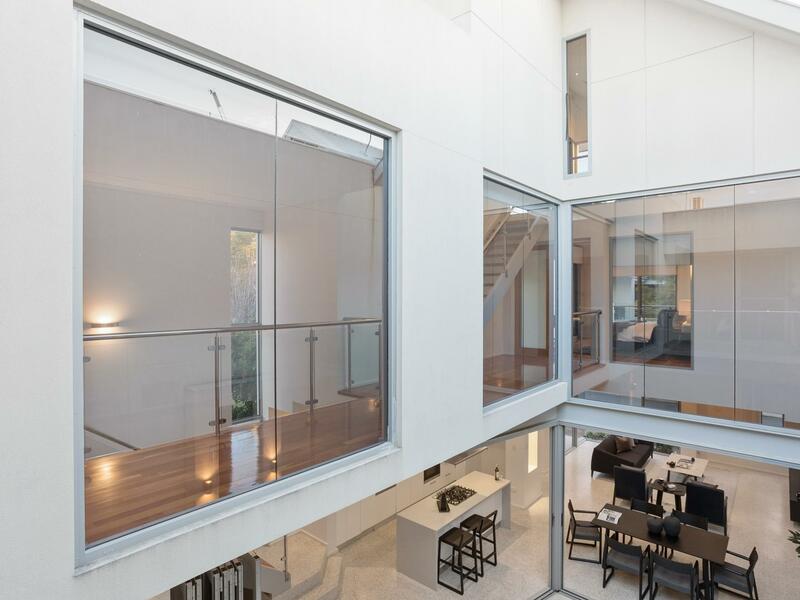 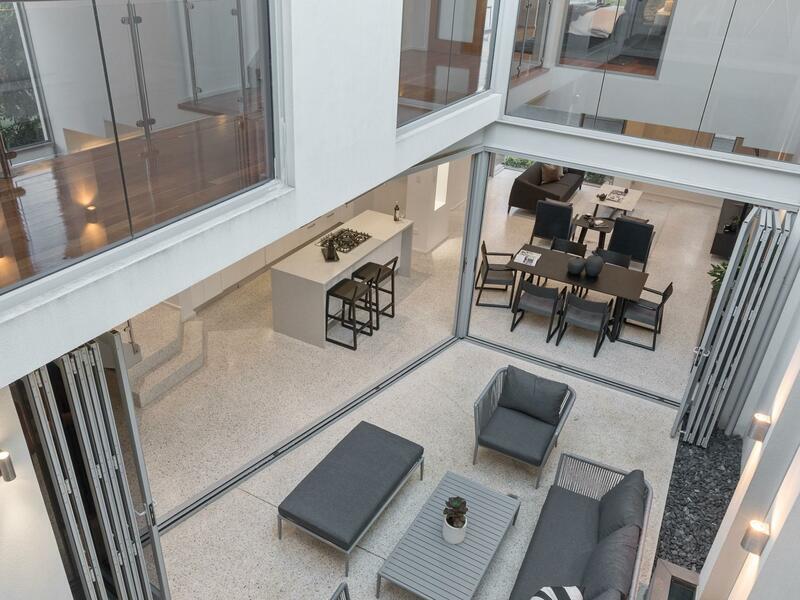 Vast windows, balconies and voids cascade light inwards from every side into glorious living/dining spaces whilst soaring ceilings and walls of bifold doors form a stunning integration with the outdoors. 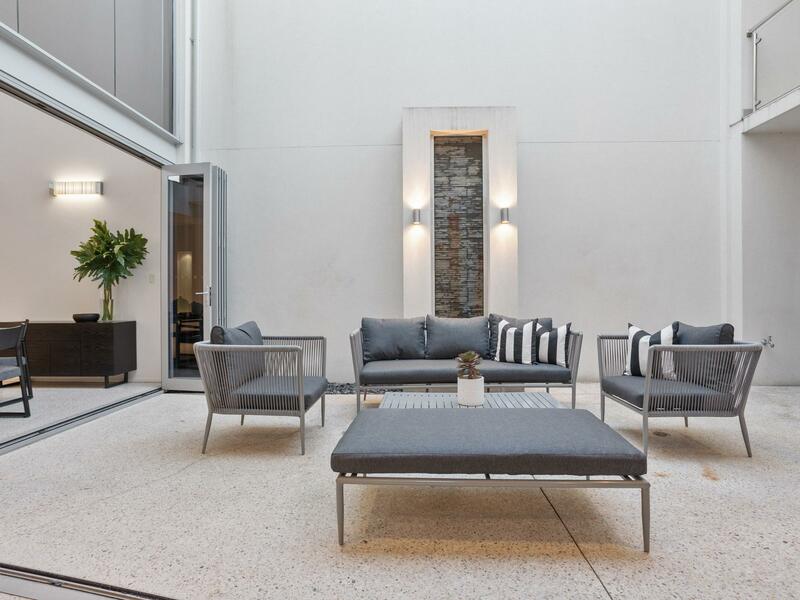 The huge sunny private courtyard has high walls and a striking modern water feature. 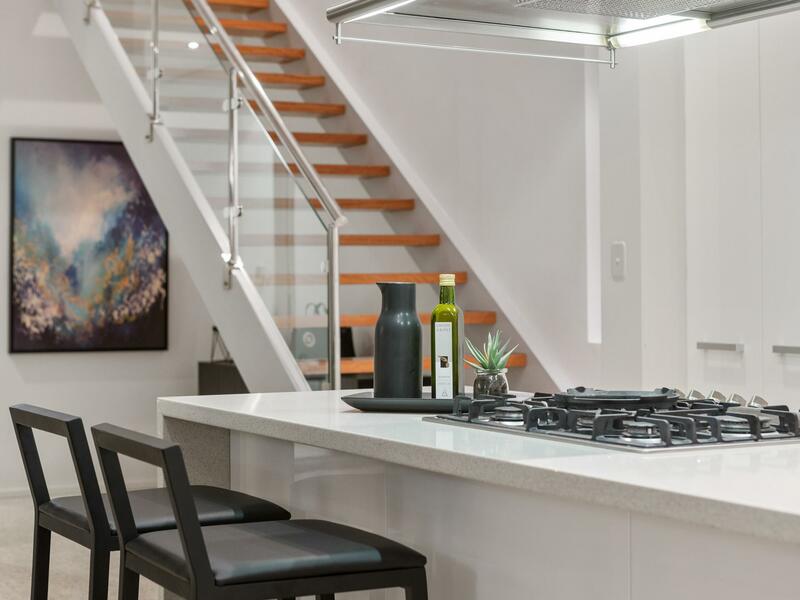 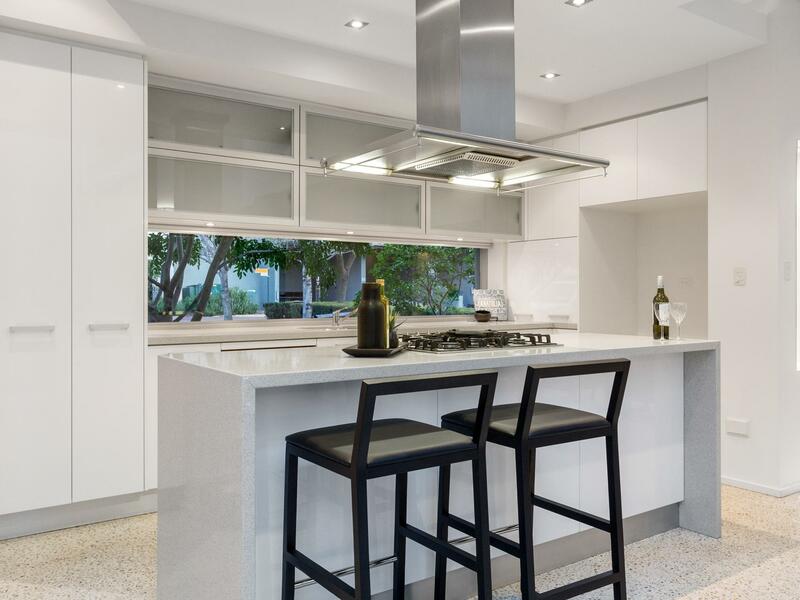 The sleek ultra-modern galley style kitchen is highlighted in pale stone, frosted glass and high gloss white cabinetry alongside a suite of premium integrated Miele appliances, plus plenty of prep and storage space. 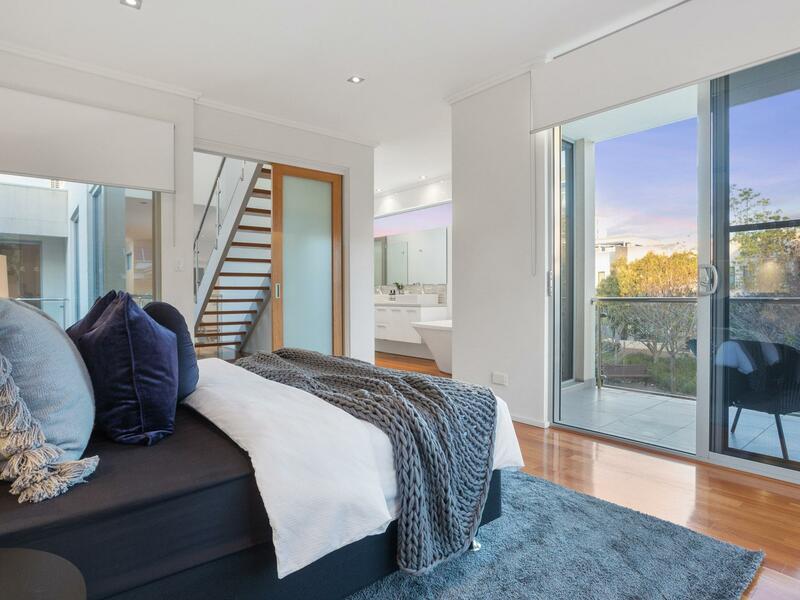 A guest bedroom with built in robes borders the courtyard on the third side. 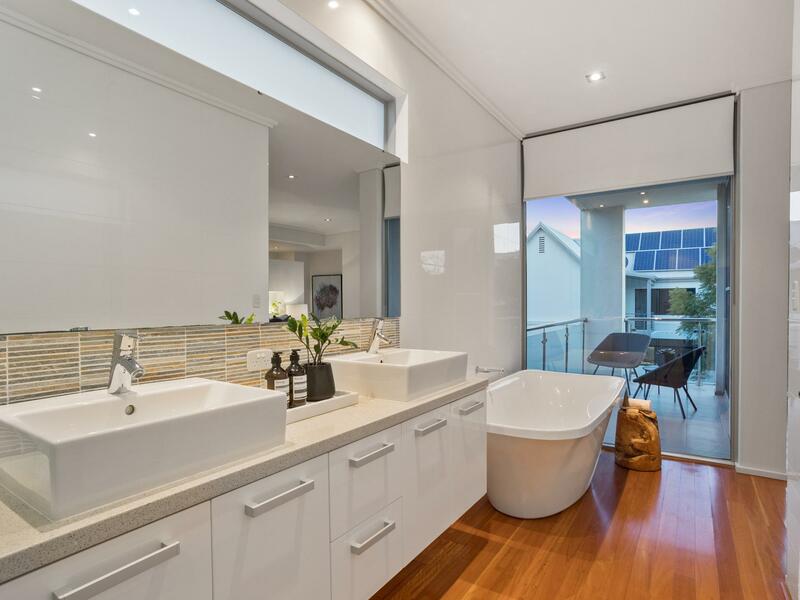 There’s an elegant fully tiled bathroom, supremely functional and stylish laundry with a drying courtyard and access to the two-car garage. 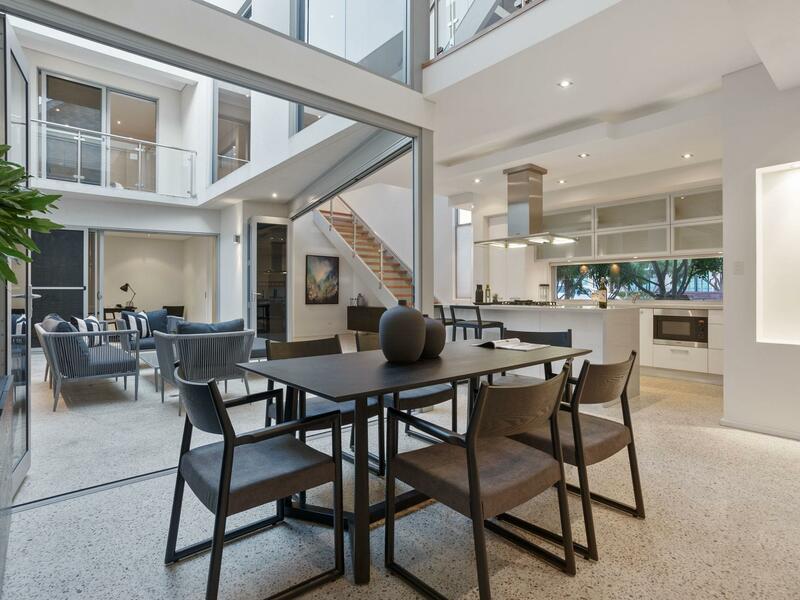 A second set of stairs lead to a fabulous living area/parents retreat with kitchenette and a magnificent rooftop terrace at the rear above the treetops. 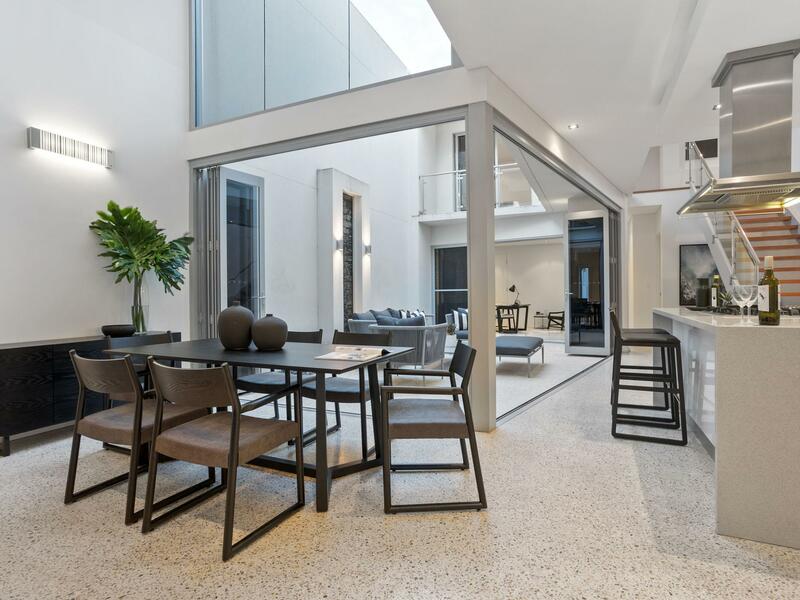 Indulge your senses inspired design, contemporary style, generous proportions, sophisticated interiors, beautiful open plan spaces, cascades of natural light, luxury finishes, effortless indoor/outdoor entertaining and savour the endless expanse of cerulean sky from the stunning north facing roof terrace. 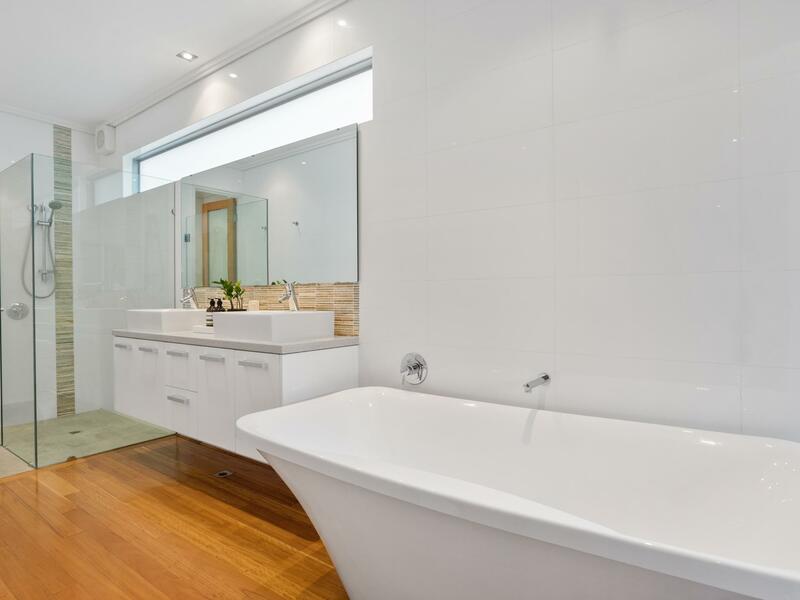 Your Subi sanctuary awaits!